I finished seminary a year ago. A number of people I graduated with are still looking for positions as pastors and teachers. These are incredibly talented and perfectly capable ministers, but the “market” for ministry jobs in the US can be tough to get into. Compare the situation of my classmates to the situation in Cambodia. The Cambodia Baptist Union—under the leadership of its president, Nivath—does evangelistic events around the country. Those who respond form a newly planted church. The CBU then appoints a pastor. They mainly look for someone who is married, owns property and isn’t too young; people who meet all three criteria are far more likely to stay in the village and provide stable leadership. Most of these pastors have no background in Christianity, much less in pastoring a church. 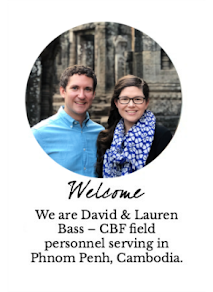 Last month I quoted Frederick Buechner’s definition of calling: “The place God calls you to is the place where your deep gladness and the world’s deep hunger meet.” I made the case for how the ministry in Cambodia is a good fit for my “deep gladness.” This month, I want to explore how the ministry in Cambodia addresses “the world’s deep hunger” in a way that intersects with my deep gladness. I believe that Christianity is speaking into the deep hunger that Cambodians experience. After decades of genocide, civil war, exploitation, poverty and fear, Cambodians are responding to a gospel that promises eternal life, reconciliation of enemies, victory over evil and life abundant. The Holy Spirit is on the move in Cambodia, and it is exciting to see it playing out. However, the Cambodian church needs pastors, and those pastors need training. Overwhelmed pastors are leaving the ministry. The church planting movement in Cambodia is incredible, but it needs help in order to be sustainable long-term. I believe that my calling is teaching, training and developing people so that they can become who they are called to be. Cambodia seems to be a unique opportunity for my calling to intersect with a particularly deep hunger in a particularly strategic way. The Cambodia Baptist Union is doing incredible work in evangelism and church planting but has asked for help teaching, training and developing church leaders so that these pastors can become the leaders God has called them to be and the whole nation of Cambodia can know the truth and hope of the gospel. Here’s my plan to live out the teaching part of my calling. I will learn the Khmer language so that I can communicate with the Cambodian people, I will research how other individuals and groups are working to promote pastor training in Cambodia, and I will interview pastors and church members to learn what kinds of training they most want. After a couple of years of researching and learning, I will develop a ministry plan that tries to take into account the needs and the unique cultural context of the CBU pastors. I must admit that I am often scared about the future. 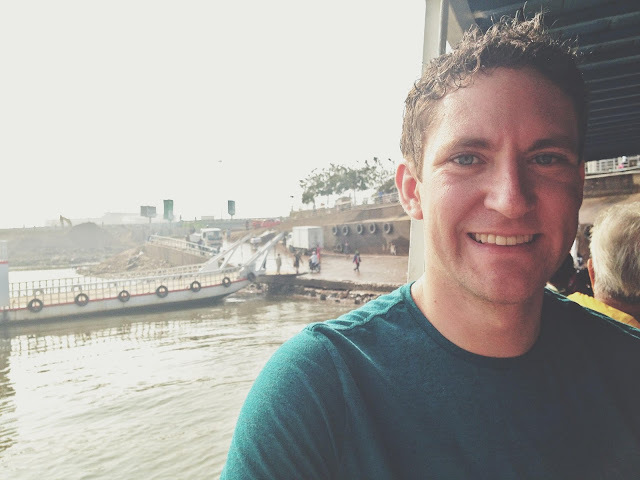 I sometimes wonder if I have misread my calling or if I am actually a good fit for ministry in Cambodia. I wonder if I have what it takes to train pastors. I think this is my calling, but I won’t know until I get there and try it out. However, I’m also incredibly excited. There is something exhilarating about taking a significant risk to pursue being the person God has called you to be. I am excited for what God wants to do in Cambodia, and I am excited to see what God wants to do in me.